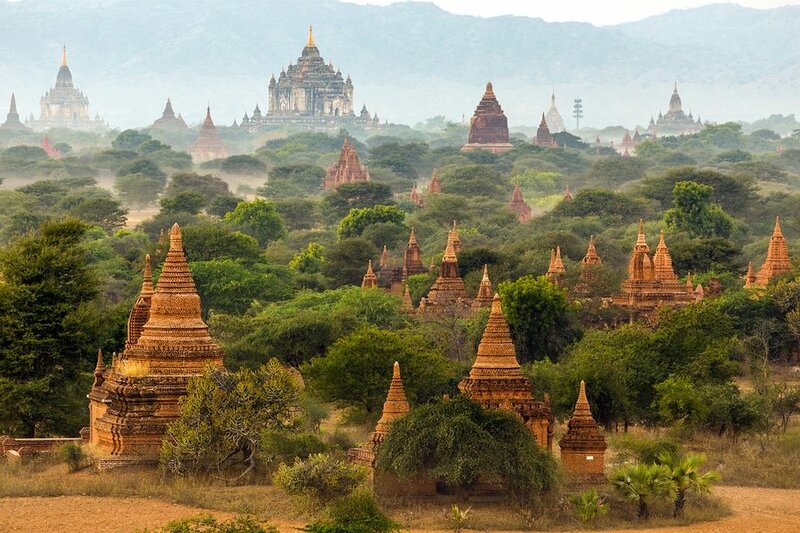 After the country has opened up its borders again for visitors after years of military regime, Myanmar (formerly known as Burma) is fast becoming a major player in the travel scene. An unpolished gem, Myanmar is one of the most mysterious travel destinations in the world offering all traditional Asian delights. The country offers up a little bit of everything: rich cultural heritage, virgin beaches, magnificent temples and pagodas, beautiful lakes and rivers and Burmese cuisine. 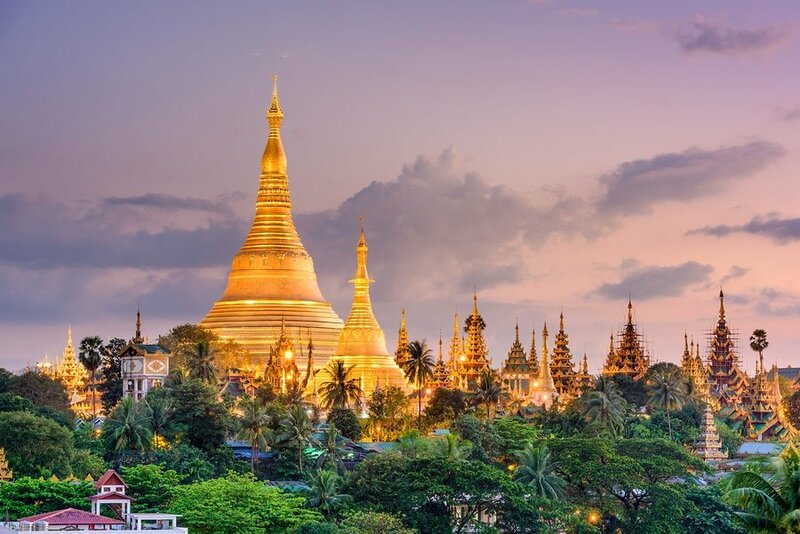 In this 5-day suggested itinerary, you will be able to see much of Myanmar’s best destinations such as Yangon, the former capital of Myanmar; Bagan, the first Empire of Myanmar; and Mandalay, the last royal capital of Myanmar Kingdom. 1.Language – The official language of Myanmar is Burmese language, also called Myanmar, which is spoken by the majority of population. English is not widely spoken except in most tourist areas and in hotels, souvenir shops, tour agencies and airports. All travel agencies in Myanmar can provide professional English-speaking guides and English-speaking drivers for driving tours of Myanmar. Speaking at least some Burmese phrases or attempting to learn is greatly appreciated by the locals. 2.Money and costs – The official currency in Myanmar is Kyat (pronounced ‘chat’), which is available in banknotes from 1 kyat to 10,000. 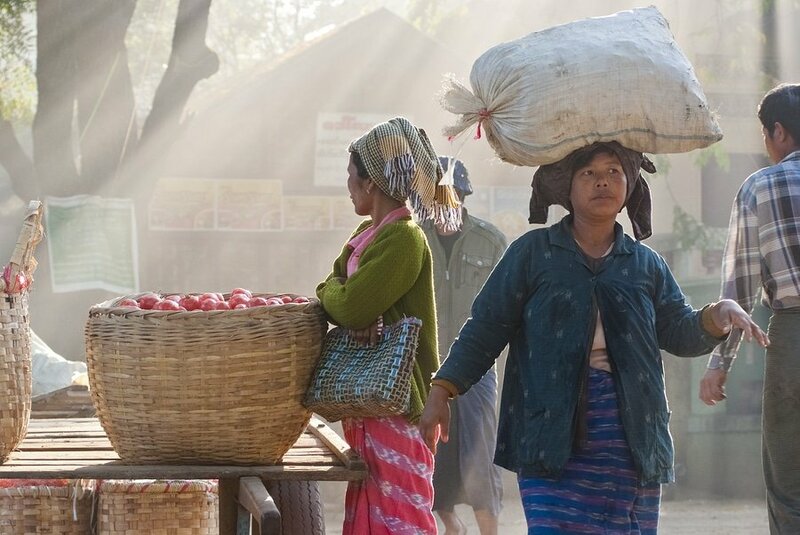 Almost all transactions in Myanmar are completed in cash so make sure to bring enough, preferably US dollars. ATMs can be found in major tourist destinations like Yangon, Bagan and Mandalay but often have low withdrawal limits. Some high-end hotels accept international credit cards while most restaurants and travel agencies only accept cash. Foreign currency can be exchanged at most hotels and with money exchange kiosks. As of this writing, the largest Kyat banknote (10,000) is worth roughly 74 US dollars. 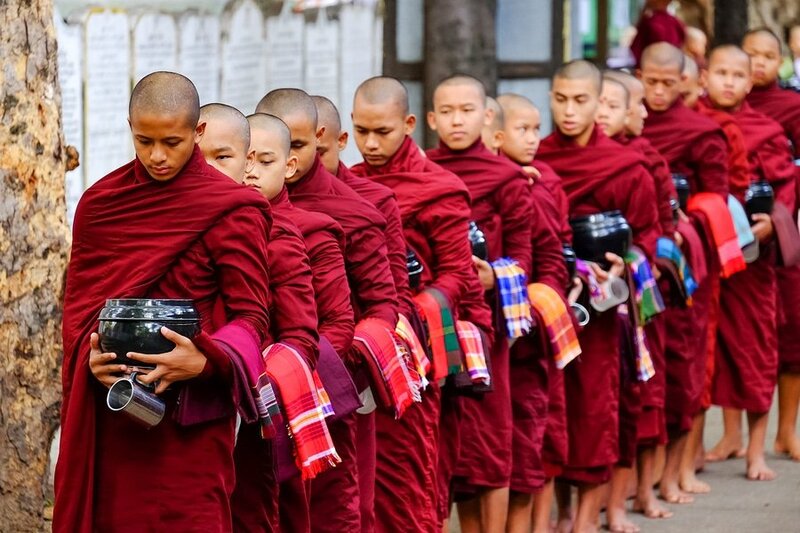 3.Etiquette – There’s no need for a foreigner to feel obligated to dress in traditional Burmese clothing. As in other Southeast Asian countries, modesty is the key in Myanmar. For women, avoid revealing clothes so you won’t get unwanted attention. Jeans and shorts not higher than mid-calf, knee-length skirts partnered with T-shirts or blouse are acceptable. For men, loose cotton shirts, T-shirts and pants are okay. Lastly, while visiting places of worship, you should be fully clothed. Don’t forget to remove your footwear before entering a temple. 4.Safety and security – There is currently no nationwide security advisory in effect for Myanmar. Check your country’s travel advisory website to get the most up-to-date information for your personal safety abroad. Myanmar is generally a safe destination and the locals are kind to tourists. However, tourists should exercise caution due to prolonged internal conflicts and possibility of civil unrest. Travel to Rakhine, Kachin and Shan states as well as areas along the borders of Laos, Thailand and China is strongly not recommended due to risk of serious civil unrest, ethnic conflict and clashes between armed groups. 5.Myanmar visa – Most tourist have the option to apply for a eVisa. The process takes four days and it costs 50 USD. For more info please visit the website of Ministry of Immigration and Population of Myanmar here. 6.Getting there – if you are in the region – don’t be a fool and include Myanmar in your travels. 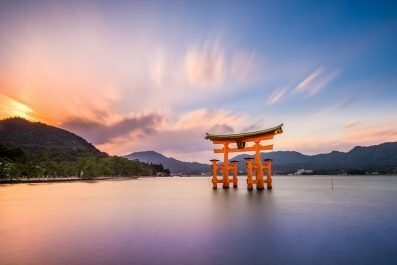 You can snap a round-trip airfare from Bangkok for 99 USD; from Ho Chi Minh City for 314 USD (if you don’t mind connecting flights, you can lower the price down to 220 USD); from Taipei a round-trip cost about 310 USD and pretty much from the rest of the world the prices start at 650 USD and up… all the way to the sky. 7.Getting around – Due to Myanmar’s slow, poor road transportation infrastructure, flying is recommended especially for long distance travel. If you are on a luxury vacation, consider hiring a driver to take you around major destinations like Yangon and Bagan. This option is expensive but will give you complete control of the trip. Renting a car and driving on your own is not recommended because some roads are tricky to navigate. Taxis are also a great alternative to get around in Yangon and other cities. 8.Accommodation – If you are going to follow this suggested itinerary, you will have to look for accommodation in Yangon, Bagan and Mandalay. It’s true that accommodation in Myanmar is more expensive than in neighboring countries like Laos and Thailand, but the country is changing day by day. Guesthouses and hostels are popping up in Yangon and while the rates are still pretty high, at least the standards are improving. In Bagan, there is not much to choose from because of limited supply and high demand that’s why you will most likely struggle to find budget accommodation. In Mandalay, there are plenty of accommodation options to suit every pocket, from budget hostels to luxury hotels. Your adventure in Yangon starts today! Take a flight that arrives in Yangon International Airport as early as possible. Upon arrival at the airport, you will be welcomed by one of the representatives of your chosen tour company (if you booked your travel through an agency) and you will be transferred to your chosen accommodation in Yangon, the former capital of Myanmar. If you did not arrange an airport transfer, you may also take a taxi to downtown area which should costs around 7,000 Kyat or 7 USD. Check in to your hotel and rest for a bit. Start your first day by indulging in a traditional Burmese breakfast. Most hotels provide meals buffet-style but if you would like to try something different then you can head to the town centre. Afterwards, soak in some of the highlights of Yangon, including Shwedagon Pagoda and Taukkyan War Cemetery. 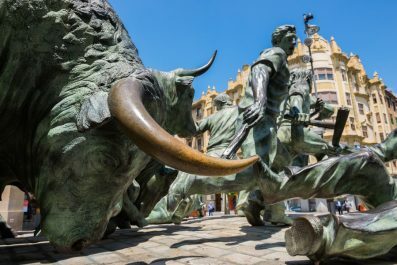 Your guide will also share some interesting facts about the former capital and its famous attractions. You can also ask your local guide to take you to Thiri Mingalar Market, it will surely give you an excellent introduction to community life of the people of Yangon as well as an opportunity to mingle with them. For one of the most memorable breakfasts you’ll ever have, wake up to a sumptuous meal in your private room. A traditional Burmese breakfast includes Mohinga, a national dish of Myanmar, which is a rich fish-based broth with rice noodles, onion, ginger, chill, turmeric and other ingredients. Htoke (Burmese salads), Ohn-no khao Swe (coconut milk-based dish served with chicken and wheat noodles) and Nan bread or Paratha with yellow beans are also popular for breakfast. After breakfast, take a morning flight to Bagan (AirKBZ flies 4 times a day between Yangon and Bagan’s Nyaung U Airport. The flight duration is 1 hour and 20 minutes and a one-way ticket costs 117 USD) where you will spend the whole day exploring its famous and less popular attractions. A visit to Nyaung U Market will be a great start. This is a relevant and educational stop to create basic understanding of Bagan. 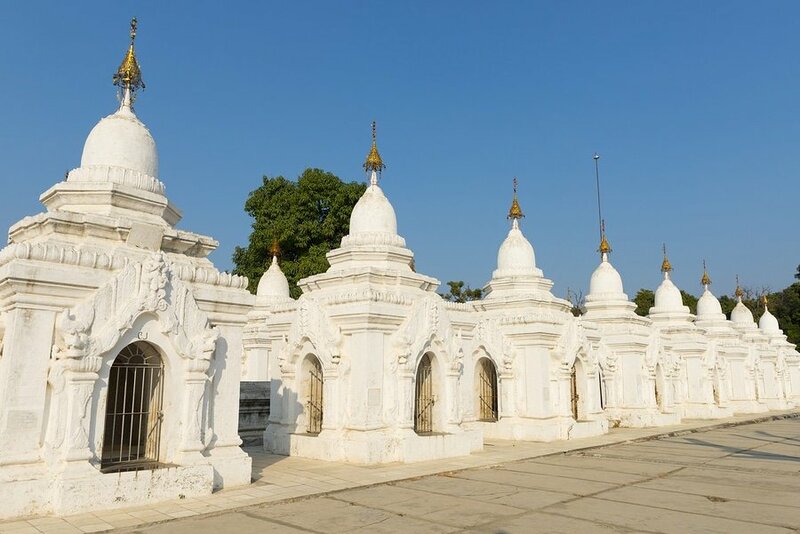 Some of the other destinations you can visit are Sulamani Guphaya Temple, Ananda Ok Kyaung and Minnanthu Village. Get up before dawn and see the sun rise over Bagan. As the sky glows red, over 2,000 temples will reveal themselves first in silhouette and then in all its immense glory. Alongside this are the hot air balloons setting off over the temples. 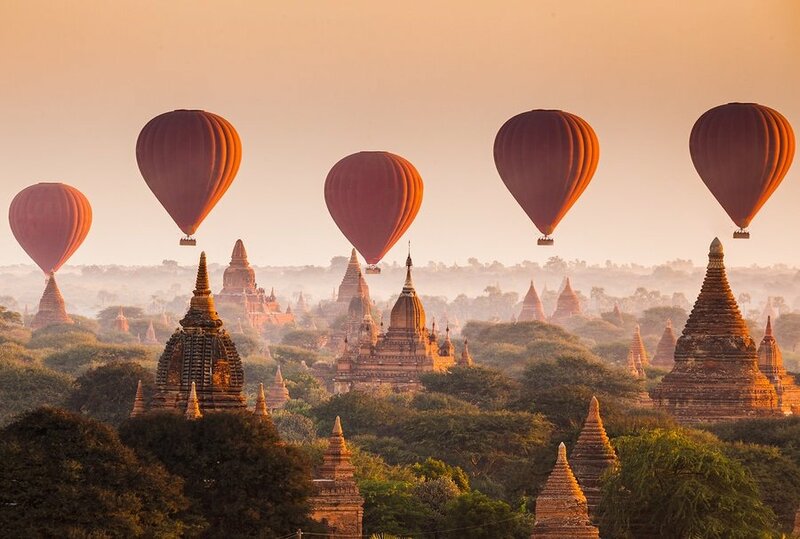 If you have money set aside for hot air balloon ride, which usually costs USD 300 per person, then you will surely get an impressive 360 degrees view of the entire temple area of Bagan. Enjoy your breakfast at the hotel before you start your own Walking Tour of Old Bagan (don’t forget to grab a map of Old Bagan at the entrance). the final royal capital of Myanmar in the late 19th century. 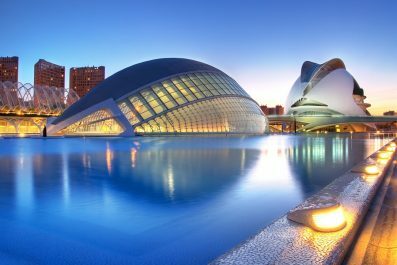 In the Afternoon, start your sightseeing tour and do not miss to go on a gastronomic adventure. Some of the restaurants you can try, which are favorites of locals and tourists alike, are Aye Myst Tar (530, 81st St., Mandalay, Myanmar), Ko’s Kitchen (corner of 19th and 80th St., Mandalay, Myanmar), Yunnan III (62nd St., between 36th and 37th St., Mandalay, Myanmar) and Lashio Lay (23rd Street, Mandalay, Myanmar). From food to adventure, nature to culture – everything in Mandalay screams awesome! Aside from the pagodas, there are so many attractions in Mandalay that are worth visiting. The best way to see Mandalay is to hire a taxi for a full day tour (eight-hour car and driver hire costs about 55-60 USD). Some of the destinations you can visit are Mahagandayon Monastery (Amarapura), U Bein Bridge (Amarapura), Hillside Temples and Inwa Ava (Mai Nu Oke Kyung). Take a late afternoon flight back to Yangon (one-way ticket costs 124 USD and the flight is about two hours). Check in to your preferred accommodation. For dinner, go to Karaweik Palace (Kandawgyi Compound, Mingalar Taung Nyunt Township, Yangon) which serves international buffet with a great cultural show. 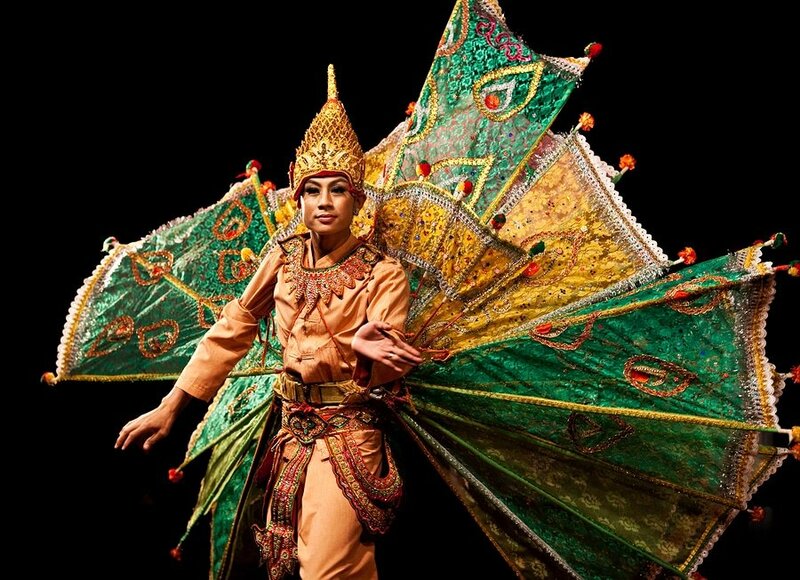 Not only this a good alternative to shopping and sight-seeing, it will also provide great entertainment as well as opportunity to learn about Burmese culture. After 4 whole days of adventure in Myanmar, allow yourself a full day to recover and just spend your time wandering through Yangon’s nearby attractions. 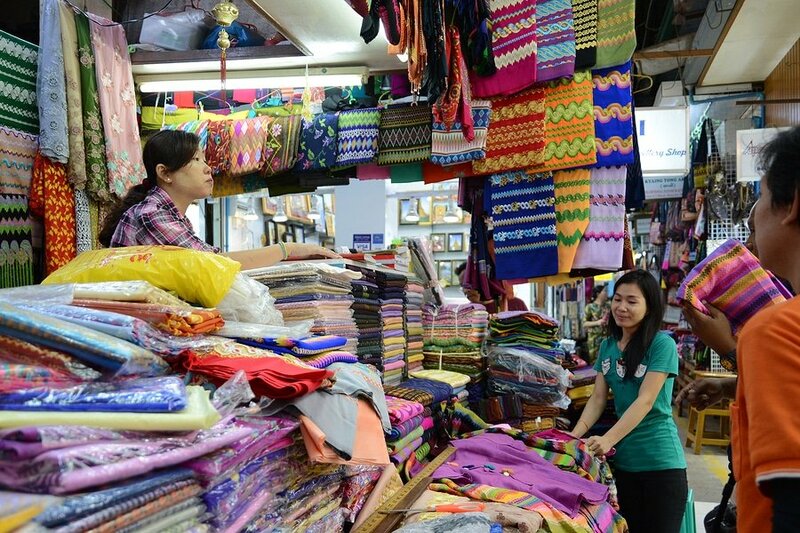 If you still have time, you can stock up on souvenirs at Bogyoke Aung San Market. Some of the most common souvenirs you can buy in Myanmar are traditional Longyi (traditional clothing in Myanmar), jewelries, bells, paper umbrellas, cigars and Buddha statues. This is the end of our 5-day suggested itinerary. You may extend your vacation for as long as you prefer or until you get to see all attractions that interest you. Take time to meet the locals, sample the best Burmese dishes or even make a quick visit to Yangon Circular Railroad Ride. If the pace gets too hectic, then reorder your sightseeing priorities. Happy travel! Have you been to Myanmar? Do you have any tips or suggestions to share? If so, you can leave your comments below. I am planning to come to Myanmar, Yangon airport on the 24th afternoon and stay there until the 28th early morning. Can you please help me or give me any suggestions as I want to visit Inle lake and Bagan too. I know it’s a bit short time but I want to see both!